Are you looking for some exciting activities to do this upcoming weekend? Whether it be for the kids, yourself, or your significant other, Macon has plenty of activities going on! Come out and celebrate at one of Macon&apos;s historic homes, the Johnston-Felton Hay House. The Knight Foundation is sponsoring the Harvest Faire on Friday, October 30, from 4-7 pm in the 1800&apos;s style home. There will be a guided tour of the house by the actors from that time period featuring Marvel the magician, jugglers, a stilt walker, and a fortune teller. There will also be face painting, arts and crafts projects, and popcorn for the kids. This event is open and free to the public. 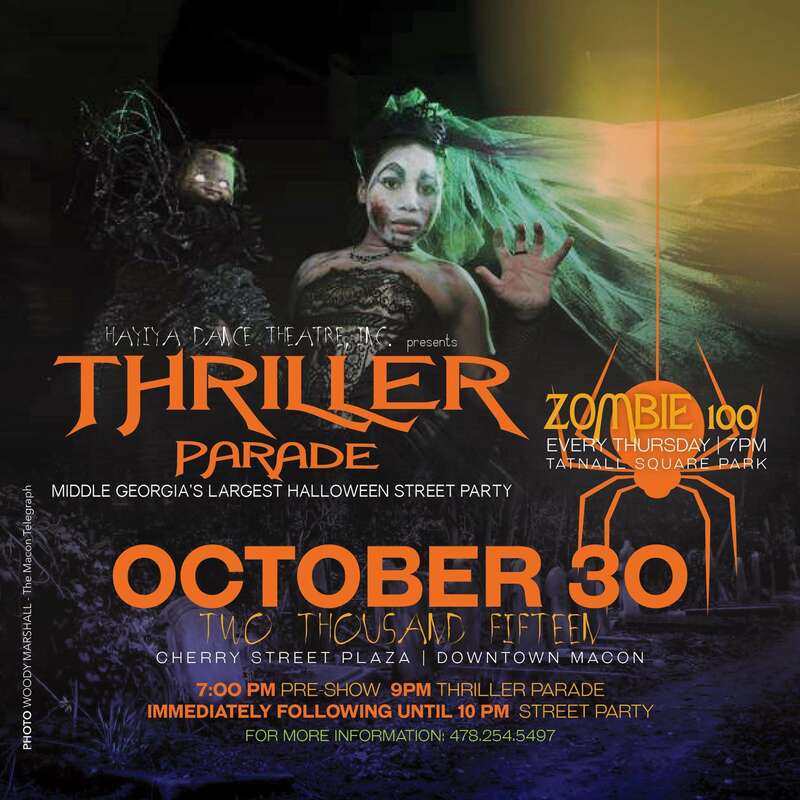 Middle Georgia&apos;s largest Halloween Street Party, presented by Hayiya Dance Theatre, is tonight at Cherry Street Plaza between the Georgia Sports Hall of Fame and the Tubman Museum. The preshow starts at 7pm, with the Thriller Parade beginning at 9pm. Immediately following the parade will be the Street Party. Flick or Treat! Featuring "Beetlejuice"
You and your friends will be in for a huge treat if you decide to see the special screening of Tim Burton&apos;s "Beetle Juice" in picnic style. The Library Ballroom on 652 on Mulberry Street is hosting this awesome and unique event tonight at 8 pm. Everyone is welcome to bring blankets, pillows, lawn chairs, food and beverages. Lanier&apos;s on Second will also be having a bar and concession stand. Don&apos;t forget to dress up in your favorite costume. The cost is $7.50 to attend. If you and your friends enjoy live theatre, Theater Macon will be performing your lovable orphan Annie story, but with a huge twist. The opening weekend starts tonight at 8pm. The cost is $25 for adults, $20 for seniors (60+), students $15, (through age 22). The starting times vary; for more information please contact, (478)746-9486. Dress up your dog and go trick-or-treating for doggie snacks downtown. Sponsored by Main Street Macon, this event is sure to get your dog&apos;s tail waggin&apos;. Get your map of participating locations at Wear, located at 464 First Street. Please stop by Historic Ingleside Village for Trick or Treat in the village for the kids. While you&apos;re there, don’t forget to drop by the other shops in Ingleside Village for a yummy treat. This event will run from 4-6pm on October 31 and is free for all in attendance.